September 10, 2018 -- Until fairly recently, most medical image analysis software was workstation-based and sold with a perpetual (one-time) software license. However, with the introduction of cloud-based artificial intelligence (AI) solutions, subscription and fee-per-study models are becoming more prevalent. These models are forecast to account for an increasing share of the market in the coming years. Subscription models are typically preferred by vendors as they create sustainable, recurring revenue streams. While the general trend is toward software-as-a-service (SaaS) licensing models, this does not necessarily mean the end of the perpetual license. For some customers, this is still the best option. SaaS models replace the upfront capital outlay of buying software licenses with ongoing subscription or ad hoc fee-per-study payments. This can be appealing to smaller customers with lower scan volumes. However, subscriptions typically cost more over a several-year period, and for that reason, many medium- and larger-sized customers still prefer to purchase software outright. To maximize their market reach, vendors should consider offering both perpetual license and SaaS options, ideally with a strategy to convert perpetual license customers to a SaaS model over time, to take advantage of the more sticky and predictable business. All images courtesy of Signify Research. Vendors who adopt a subscription model then need to set a pricing strategy. The price of imaging IT systems such as PACS is often based on the number of users allowed to access the system at any one time, i.e., concurrent users. As many customers are already familiar with this pricing strategy, it lends itself well to AI-based image analysis software, particularly for established vendors who are looking to upsell AI tools to their existing customers. Pricing can also be based on scan volumes, a strategy that works well for smaller customers and for customers who want to start small and scale up if the software proves to be of value. Many customers prefer a volume-based pricing model with fixed prices for preagreed scan quotas, as this is easier to budget for. Volume-based pricing can work well for nascent markets, such as AI tools for medical image analysis, as it's more affordable and lowers the risk of investing in new technology. However, with the general trend in medical imaging toward longer contracts, it can be challenging for providers to predict longer-term scan volumes at the start of a multiyear contract. An alternative is an unrestricted usage subscription, with all potential users of the software given unlimited access. This can be a useful strategy for start-ups and new market players, as it maximizes the vendor's exposure and engagement with customers -- and, hence, the perceived value of the software. Assuming the software is widely and routinely used, this strategy helps to support customer retention and renewals. Subscription-based licensing also lends itself to the freemium licensing model, where customers can access a free version of an application -- or a version with restricted functionality -- for a limited period for evaluation purposes. While a useful strategy, particularly for new market players, it comes with its challenges and needs careful management. Nonpaying customers on a freemium trial may still require technical support, diverting resources that are perhaps better focused on paying customers. Moreover, the conversion rate from freemium trials to paying customers can be low. As such, the freemium model tends to work best for plug-and-play software and is less suited to more complex solutions, particularly those that require integration with other systems. The fee-per-study (FPS) model, where customers are charged based on their usage of the software, is well-established in medical imaging -- particularly for neurology image analysis, where several vendors offer this, with pricing typically in the region of $200 per scan. The FPS model gives customers maximum flexibility and the lowest entry costs, and it derisks investing in new technologies. It is also well-suited for solutions targeted at less-developed countries, due to the lower costs involved. For vendors, the benefits for the FPS model are much the same as with volume-based subscriptions, in that the lower cost (compared with perpetual licenses) can help build brand awareness and seed the market. Often vendors will offer both FPS and subscription options, with customers starting out on the FPS model and switching to a subscription as usage increases. As the market for AI-based image analysis software ramps up and more solutions come to market, we expect fee-per-study pricing to fall. Zebra Medical Vision has taken an early lead in this respect with its AI1 ("All in One") business model, charging a flat fee of $1 per scan for access to its algorithms. While this strategy is somewhat unproven in medical imaging, the low price point is expected to be attractive to customers, particularly those with lower scan volumes, and it is likely that other vendors will adopt similar pricing strategies. Vendors considering this strategy need to be mindful that it will likely require significant capital investment in the early years, as a high number of low-volume customers can be expensive to support, not to mention the increased administrative and billing overhead. In the broader healthcare IT market, there is growing interest in risk-based contracting, whereby software vendors receive a share of the cost savings from use of their software or by meeting preagreed performance metrics. If the vendor's technology or software solution fails to meet the agreed targets, financial penalties are incurred. For vendors, the attraction of risk-based contracting is the potential for more sizeable and lucrative contracts when compared with the business models previously described. For example, a successful risk-based contract with a single payor public health system could result in multimillion dollar returns for the vendor. The contracts can also foster closer customer relationships and lock in customers long term. On paper, this model is well-suited to AI tools for medical image analysis, as improved radiologist productivity is typically the main value proposition of these products. Additionally, key performance indices (KPIs) can be developed around a variety of operational and clinical metrics, such as increased modality utilization rates, reduced diagnostic error rates, and improved clinical outcomes. However, most health providers do not have robust systems in place for measuring KPIs, let alone return on investment. Without accurate and robust data, it may prove challenging for providers to hold their vendors to account when KPIs are missed, or for vendors to prove the real value of their solutions. At this early stage of the market development for AI-based medical image analysis tools, most customers will be reluctant to commit to complex risk-based contracting; the more traditional business models outlined in the previous sections are better suited. However, as confidence in the technology grows and more clinical validation of the benefits of these solutions becomes available, the case for risk-based contracting will become more compelling. In the short term, vendors are encouraged to offer a variety of licensing options, including perpetual licensing, fee per study, and annual subscriptions to appeal to the wide array of customer needs. "Machine Learning in Medical Imaging -- 2018 Edition" provides a data-centric and global outlook on the current and projected uptake of machine learning in medical imaging. The report blends primary data collected from in-depth interviews with healthcare professionals and technology vendors to provide a balanced and objective view of the market. 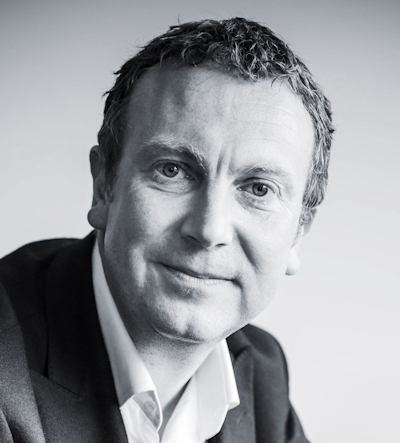 Simon Harris is managing director and principal analyst at Signify Research, a health technology market intelligence firm based in Cranfield, U.K. He can be reached at simon.harris@signifyresearch.net. The comments and observations expressed do not necessarily reflect the opinions of AuntMinnie.com, nor should they be construed as an endorsement or admonishment of any particular vendor, analyst, industry consultant, or consulting group.